First, why should you care about determining whether your product is a vitamin or a painkiller? In digital products, we need to know the characteristics of what we are creating. We have a goal of solving a problem but sometimes, the solution that we have is not always something that our users will really need. And if you have a plan of pitching your idea to investors, this is something that they consider; if your product is a vitamin or painkiller. So let’s define their difference in relation with digital products. Vitamins: The most common explanation of what vitamins do, is that it prevents something to happen. It gives us the nutrients to strengthen a specific part of our body. A digital product is considered to be a vitamin if it is something that is “nice-to-have” but not really solving a specific problem. It could be something that people will use in the future but not right now because the goal of digital products should be giving real life solutions. So just like vitamins, they are actually good but again, is not solving an existing problem. Painkillers: It basically kills the pain. In digital products, we need to know the pain points of our target market. What are the current specific problems that they are experiencing and how should we create solution for that. If our target market are retail business owners that would like to increase sales through social media, then what kind of pain killer should we create to improve their inbound marketing. As a conclusion, investors look for the products that will give real value to your target market. This is one of the basic things you need to consider before you build your pitch deck. Investors want to put their money on something that can create an impact for a long time. And since you are building a habit forming product that provides happiness and satisfaction to your users. 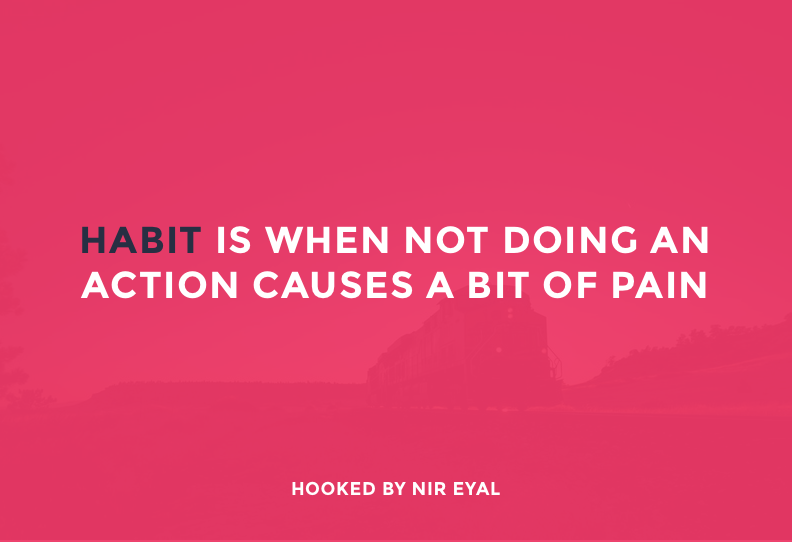 It will eventually create a habit that causes a bit of pain when not doing or using your product. Want to know more about UX and Product Design?